Recently, I was asked to help out in implementing a requirement for a reporting application. The application was designed to report weekly consumption trends from the day the report is run, and we therefore had to generate a lookup with week long date ranges from any given day. For example, if the report is run from November 30, 2015, the week ends on December 06, 2015 and subsequent weeks are at 7 days intervals from that point on. If the report is run on December 02, 2015, the first week ends on December 08, 2015 and so on. In this post, I present two scripts that I created as PoC for the implementation. The first script uses a simple approach – it basically runs a WHILE loop starting from the start date supplied to the script and keeps adding 7 days to the date supplied as the start date. This loop continues until the derived start date exceeds the end date supplied for generating the lookup. This version uses a recursive CTE to achieve the same result. In order to validate the bigger sets of date ranges, one can use the approaches documented in the post [Interview Question of the Week #047 – Logic To Find Weekdays Between Two Dates] by Pinal Dave [B|T]. 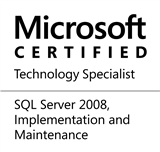 This entry was posted in #SQLServer and tagged #SQLServer, #TSQL, Development, Tips on November 30, 2015 by nakulvachhrajani.